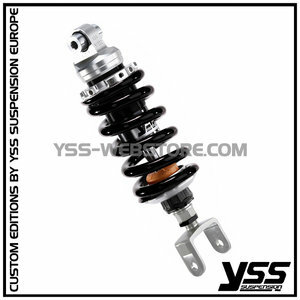 This YSS suspension replacement rear shockabsorber from the Topline range, is a high efficiency gas shock absorber that can be adjusted according to the user. 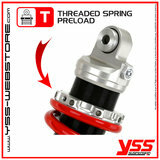 It has a threaded preload adjuster which the user can turn in order to personalize your setting. 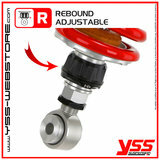 The shock is also rebound adjustable to control the recovery of the shockabsorber to it's original position, fast or slow depending on the riders needs. The shockabsorber is adjustable in length. 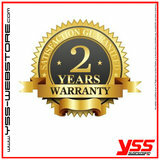 Take into account a week delay in delivery time.